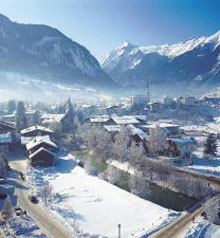 Bus-linked to Zell am See, Kaprun makes up part of the Europa Sport region, with 130km of pistes, 50 of which are local. Like its neighbour, Kaprun is a year-round resort, with the Kitzsteinhorn glacier and lots of summer pursuits (golf, climbing, water sports). Unlike the bigger Zell, Kaprun is a traditional Austrian village, with a decent selection of restaurants and accommodation. It has quieter nightlife, but its still pretty fun and varied. Its skiing is mainly for beginners, intermediates and cross-country, while experts don't receive extensive attention. Kaprun is great all year round, but for more varied skiing, it is worth exploring some of the other nearby terrain, such as Saalbach and Schladming. 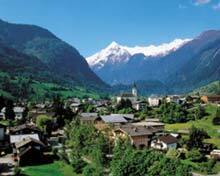 A popular and fairly lively village with access to the Kitzsteinhorn glacier. Day tickets, valid for all cableways and lifts in Zell am See and Kaprun. 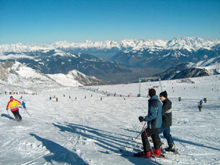 6 day Ski passes, valid for all cableways and lifts in Zell am See and Kaprun.